A 22-year-old woman looking to start a career working with animals was attacked and killed by a lion after it escaped a locked space at a North Carolina animal center on Sunday, officials said. A "husbandry team, led by a professionally trained animal keeper, was carrying out a routine enclosure cleaning" at the Conservators Center in Burlington when a lion left the locked space, went into the area where the humans were and killed Alexandra Black, the Caswell County Sheriff’s Office said in a statement. Black, 22, had worked at the Conservator Center for just 10 days, her family said. 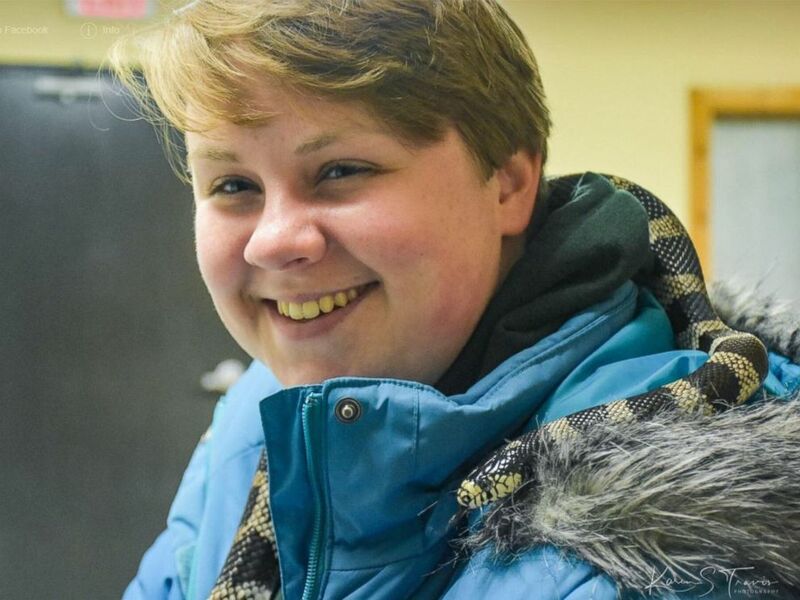 She loved animals and "died following her passion," her family said. An undated photo of Alexandra Black, who was attacked and killed by a lion at the Conservators Center in North Carolina. "Our beautiful, intelligent, passionate Alex had worked, unpaid, at several animal-related ventures," her family said in a statement. "This was her fourth internship, because she really wanted to make a career of working with animals." Personnel were unable to tranquilize the lion, named Matthai, so deputies shot and killed it so Black's body could be retrieved, the sheriff's office said. It was not immediately clear how the lion escaped the enclosure, according to the center and the sheriff's office. Black, from New Palestine, Indiana, was a 2018 graduate of Indiana University, family members said, reported Indianapolis ABC affiliate WRTV. "She was a beautiful young woman who had just started her career," her family said. "There was a terrible accident, and we are mourning." The Conservators Center said in a statement it was "devastated by the loss of a human life." "This is the worst day of my life. We've lost a person. We've lost an animal. We have lost the faith in ourselves a little today," Mindy Stinner, executive director of the Conservators Center, told Raleigh ABC affiliate WTVD. The center is home to more than 80 animals and more than 21 different species, according to its website. The center said it will be closed until further notice. ABC News' Darren Reynolds and Louise Simpson contributed to this report.